A career in fashion, the music industry, health, or fitness won’t always benefit from as much longevity as you would probably like. For instance, while it’s possible to run exercise classes for seniors as a 55-year-old fitness instructor, it’s not an easy job to track down or secure. Similarly, many music careers fail to succeed massively and end up being ones that while ticking along nicely, don’t necessarily flourish. 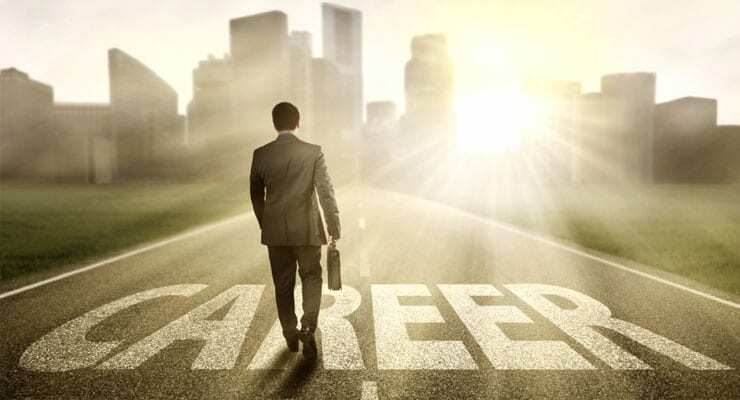 When thinking about improving your career and creating a more stable income to live off, we have some tips on how to do that. Learn to look for and spot new trends by finding people who can surf the wave of interest. It can be very lucrative to get in early when a new trend appears. That could be something that’s selling in the retail environment or in terms of services to offer an employer. For example, with the aging boomer population, there’s a higher demand for nursing staff. Indeed, people qualified in providing valuable services to the elderly are likely to keep busy. Seeing a demographic shift like this can help spur some unusual business ideas to help seniors move around better or get some shopping done without their needing to leave the house. When working in a particular field, you have the chance to see what’s popular and find gaps in the market. Just like how a sound engineer might find that certain types of radio jingles are easy to produce and sell well, everyone should be looking for their next opportunity – or three. The concept of the side hustle is not new. Often, they require knowledge that you already have which you then need to expand upon or turn into a service. Most side hustles are created in the evenings or weekends when off work. They take a few hours to a few months to create something marketable. The trick is to see a gap in the market, or a true need that’s not being filled well (or at all) right now. Avoid wasting time on developing a product or service that no one wants. To do better in business from a side hustle to a full-time endeavor, it’s necessary to operate it like a business. Understanding how to come up with smart business ideas, to plan each business stage properly, and know how to access funding are all things that you learn from taking an MBA course. Taking this type of course doesn’t interfere with your current career because online MBA courses are studied 100 percent over the internet. This way, you can be at work on a break, at the music studio or at home with the ability to log in to learn more about the topics being covered that semester. The flexibility makes it possible for anyone with an interest in business development to expand their horizons. Reading trends, moving with the times, and coming up with effective side hustles helps avoid ending up unable to earn a decent living. Studying business goes a step beyond to multiply what your knowledge and execution can produce for you. Finding the right job is essential for happiness and for good mental health. It can be so frustrating to be turned down time and again for jobs that you know you would be great at. In many cases, this could be down to your resume and the fact that, although you know you have the skills and the talent, what you know just isn’t represented well enough on the document itself. With so many people applying for relatively few jobs, particularly in the technical sectors, being able to show that you have all the required skills (and then some) is vital. Take a look at our guide to help you work out how to do it. Although it’s essential that you include all of your technical skills in your resume, it’s just as important not to over-embellish them. If you do this by, for example, saying that you have expert knowledge in something when you have only used it once or twice, then there could be problems ahead. If you get to interview and can’t back up your claims with experience and information, your interviewer won’t look kindly on you. If you are honest, then you know that when you are called for an interview, you will be able to answer all the questions. Writing a resume might be a dull job, but it is also crucial if you want to find a great career and get noticed when it comes to applying for work. Something that is very important is to include everything that you know when it comes to technology, no matter how big or small it might seem. Take your time to think through the courses you have taken and the hobbies that you have because even they might be useful. If you understand how to use CircuitStudio to create PCBs, or you are a big fan of coding, you should mention this; you never know when it might come in useful or who you might impress! A mistake that many people make when writing their resume for a technical job is to send the same document out to every employer regarding every job advert they see. It’s far better to read the job advert extremely carefully and tailor your resume (and covering letter) to the company and the job itself. It means making sure that all the skills that are mentioned within the job ad are in place on your resume along with a concise explanation about how well you can do the role in question. Not only will this ensure that your potential employer wants to have you in for an interview, but it also means that if the job isn’t right for you, you will realize before you go too far down the application route. That way, you won’t waste your time or anyone else’s. Once you have included all the details that are required, you can then add everything else. It may simply be a question of changing the order of the skills listed on your resume, but even a little thing like this can make a big difference. No matter the size and scale of your eCommerce trading, new tech tools are no longer solely reserved for big businesses. While it used to be a fact that only the largest businesses were able to afford the technologies that could help improve operations, nowadays, the sheer number of resources available means that any business of any size can now take advantage. 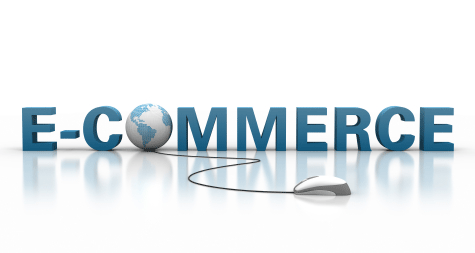 In the digital era, there is a number of solutions available that your eCommerce business can make use of, and failing to do so could leave your company standing in the dust of your competition. If you want to stay ahead and ensure the best customer experience, then here are the most useful digital solutions that your eCommerce business needs. If you don’t know anything about your customers, then your business is never going to be able to provide what they need. Understanding who your customers are and what they want from you is the only way to ensure that you are providing the best in customer service and building the necessary level of brand loyalty. Using analytics options is the best way to build a better idea of your customers, and there are a number of digital solutions for gaining these insights. The most popular and common one to use is the standard Google Analytics, which is understandable due to the vast amount of information that it provides. However, the social media platforms that you use also have their own analytics insights, and they can all be utilized together to gain a more rounded idea of your customer profiles. The companies that succeed are the ones that provide the best in customer service. In a highly competitive business climate, the consumer has complete power, and your business needs to ensure that customer service is a priority at all times. There are many digital solutions to improve levels of customer satisfaction, and customization is just one of the ways to build stronger brand loyalty. The most effective digital solution that provide opportunities to achieve this goal depend on the size of your organization. For example, larger businesses who adopt SAP ERP are able to offer up real time data from a single source. Product suites running on SAP ERP such as those offered by SAP Supplier Omnia eCommerce leverage this functionality and capability to deliver optimum experiences to the customer, whatever the channel. There’s no disputing the key role that social media plays in the running of an eCommerce business. From improving your SEO rankings to establishing a loyal customer base and expanding your audience reach, social media platforms are unparalleled. However, there are ways to make sure that you are getting the most from whichever social media platforms you use, and learning how to use them is not the challenge that you might expect. Platforms like Hootsuite and Zoho Social allow you to take much greater control of your social media management and will work across platforms so that you do not miss a single comment or mention. We are in a digital age, and eCommerce is reliant on digital technology. Failing to make use of digital solutions is a mistake that may cause you to fall behind your competitors and lose valuable customers. Ensure that you stay one step ahead of customer expectation by making use of the wide variety of solutions available, and you may be surprised by the benefits that they can provide. The cloud has given all of us the ability to do business wherever there’s an Internet connection. Far gone are the days where business owners were concerned about having a computer fast enough to run all of the programs that they need. No more worrying about whether a computer has enough storage space or processing power. There are fewer worries about how a business can continue if a hard drive crashes. The cloud has given all of us the ability to move almost every aspect of business off of on-site computers. As such, a startling number of businesses are searching for additional options for the security of their data, employees and clients. Alongside physical and on-location software options, cloud based security is becoming increasingly popular due to it’s multitude of security layers it can provide on a constant or as-needed basis. Securing business cloud environments and enforcing the same policies, compliances, and user access can be an extremely difficult challenge for organizations. Cloud Access Security Brokers solve many of the difficult cyber security challenges faced by hybrid infrastructure utilized by today’s businesses. Most have a presence in public cloud with business critical data or services. There are many reasons in deploying CASB implementations. Data Security – the management and encryption of data providing layers of security protection. Threat Protection – to identify and stop threats through CASB virus and malware protection. Visibility – providing current visibility of the business cloud usage and risk assessment. Compliance – enables a business with a broad range privacy and support to cloud based applications under a variety of access types. 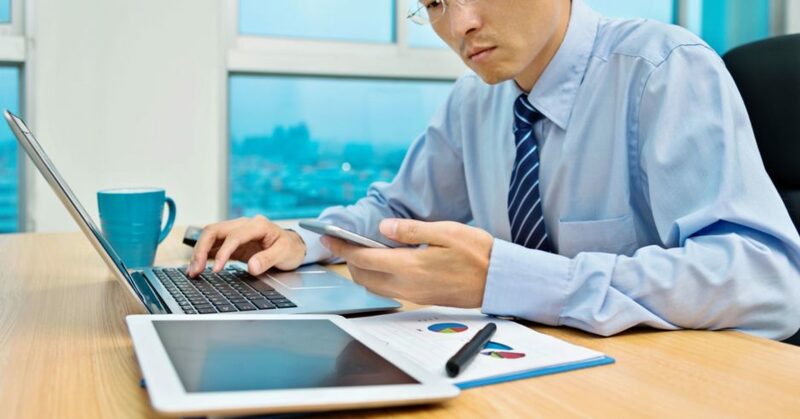 CASB solutions typically deploy in minutes and require no access to logs, no changes to network configuration, no browser agent installation and no service disruption. And SaaS infrastructures are strengthened through the consolidation of multiple types of security policy enforcement. As more companies jump on the cloud bandwagon and migrate core services to cloud apps, native app security has proved lacking. CASBs increase corporate visibility and access controls to Cloud services, enabling a better identity, more direct data security, threat protection and compliance. 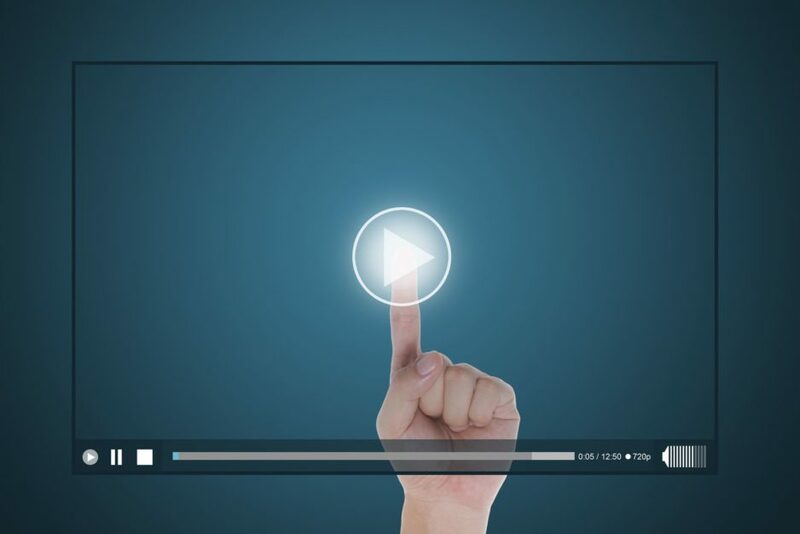 Unlike other types of marketing videos, the videos that you use in content marketing shouldn’t be designed to promote your business or its wares. Instead, it should provide content that is useful to viewers while interesting them in the products indirectly. Guides or tutorials that show viewers how to perform a task or action are inherently useful. The popularity of this type of content has not diminished over the years, and it is the perfect type of video for content marketing. To interest viewers in your products using how-to guides, you should incorporate them in the video and show them being used. In most cases there is no need to do more than that, and you should avoid promoting the product too directly and ensure the guide itself is clear and concise instead. Interviewing experts can make for some interesting and compelling content that will carry a lot of weight with viewers. The focus of this type of video should be on providing viewers with unique insights from an expert who is well-known. The more well-known the expert, the more valuable this type of video will be. Needless to say it isn’t a good idea to promote a product directly or indirectly in this type of video. Instead, it should be used in content marketing to establish a reputation with viewers and provide them with content that they value highly. While explainer videos are frequently used nowadays to directly explain a business or its products – at its core these videos can be used to explain any topic whatsoever. For content marketing you may want to use them in a less promotional fashion, and opt to explain topics that are related to your business and the niche that it is in. The best explainer videos are the ones that are able to deliver information creatively using visuals. Animated explainer videos are extremely popular nowadays, but you could look into other options such as whiteboard videos or even video slideshows such as the ones you can create with Movavi Slideshow Maker (https://www.movavi.com/photo-to-dvd-slideshow/). Each one of the types of videos listed above tend to be popular with viewers which makes them perfect to act as a foundation for your content marketing. It would be a good idea to explore other types of videos as well, and mix things up a little to see what your viewers respond to. Investing was once a foreign concept to many and something perceived to be for a certain caliber of people. However, as the years have progressed and technology has evolved, it has become a lot more mainstream. As people are becoming more financially literate, they’re realizing the importance of investing for the future as well as creating a sustainable form of income outside of their average nine to five. Thanks to technology, investing has now become a concept that’ll many people can grasp. On that note, this article is going to look at three ways that technology has made investing easier. In former days, before you could invest, you had to go to a physical location where they sold and bought stocks. However, now you’re able to invest online in the comfort of your home or behind the screen of your mobile phone. There are endless digital platforms, websites, as well as apps that you can use to trade in this day and age. Some of the best investments you can make such as peer lending, real estate, and the stock market can even be made online which shows that the lines are becoming blurred in terms of the sort of people that can access investment opportunities. The main requirement seems to now be a working internet connection and some capital to work with. In this day and age where the internet is prevalent, access to information is much easier. This means that by typing a few words into a search engine, anybody can learn about investing. There are a vast number of easy to digest information out there that simplify the process for people who aren’t financial gurus. You can even use investment apps such as Stash or Acorns to monitor your money from your mobile phone thanks to technology. It means that in reality, you don’t need in-depth knowledge as technology has made it possible for apps to do all the hard work of figuring out where you should invest your money. In addition, it also automates the process so that a certain amount is taken out of your account and invested. If you want more control over where you invest your money, that’s possible as well. As briefly mentioned above, the way that people invest has drastically changed over the years. Now, you can make an investment within a matter of minutes or seconds as long as you have access to a mobile device. It is also possible to make faster returns on your investment by trading cryptocurrencies, commodities, or stock which can all be done quickly on your phone. The reality is that you can now invest on the go which makes it all the more attractive for some. Technology has made many people’s lives easier over the years and continues to do so. This is especially true when it comes to investing, giving people, worldwide the opportunity to invest without stress. Hopefully, as the years’ progress, technology will continue to change the way people access information and manage their finances for the better. You may be approaching a stage in your life where your long-held ambition to start a business may possibly become a reality. If you are considering starting a business, there are various factors to consider. Below are various considerations that will need to be made long before you begin. A business plan is an absolutely essential part of the process in developing a business. This will be integral for any employers, and yourself as the business owner, as having a plan that you can look to and follow will offer a basis on which direction to take the company in. Ensuring all those involved are on the same page and have a fundamental understanding of what you aim to achieve in the early days will prevent miscommunication and crossed wires in terms of the organizational approach. Ensuring every individual is familiar with their role in the business or company is another important factor to decide upon early on, as having too many individuals working on the same elements of the enterprise will only lead to confusion and disorganization later on. In the early days of setting up a business, devising your strategy for the oncoming months may take a long time, but the more developed and thought-through it is, the less hiccups will be encountered later. Another consideration to make is whether you are going to be remotely based, or whether you require office space. This, of course, depends on the kind of business you are running. If it is freelance based, there may be no need for an office, and you may be able to do all the work from home. However, if you require constant communication and a base for however many employees are on board, you may need actual premises to get the ball rolling. Looking into this particular decision early on can ensure you find the ideal physical space, which will give your company a fixed address, and therefore a more complete feel, if this is a necessary component. One essential factor to starting a business is working out who your target market is very early on. By understanding what your niche is, and the basis of your audience, you can begin to develop a business strategy that tailors and appeals to your target market in particular. Every business appeals to a certain market or niche, and understanding that you will not suit everybody’s needs is an understanding to grasp very early on. The more defined your target market is, the more potential you have in developing, selling and offering a product that will appeal. One mistake business owners can make is trying to provide too many services to various target markets; for a new business or startup, particularly, this is a risky strategy. Starting slow and building up your client base and target market will naturally come over time, as and when the business grows and develops. Devising your USP (unique selling proposition) early on is as important as understanding your target market. You should be able to confidently explain your USP in a couple of sentences. This especially applies if you are a new business in a particularly competitive market. You need to ask yourself; what do you offer, that other companies don’t? If you cannot provide an answer to this straight away, you may need to go back to the drawing board and devise a new approach. Ensuring you are passionate may seem a cliché observation, however starting a business will involve many frustrations, and potentially many failures. Being committed and passionate and believing in the product or company is an absolute essential in terms of developing your business. After all, who will believe in your business if you don’t? Showing you are a reliable and trustworthy company, who is confident in their ability to deliver is an essential part of being a business owner and starting up a business from scratch. Your passion for the company shine through in situations such as networking events, for example. However, a lack of passion will be even more noticeable, and you will lose interest in your business quickly if this is the case. A strong amount of patience and belief in the business will also get you through the more difficult days. Before you set up your own business, there are various financial considerations to make. 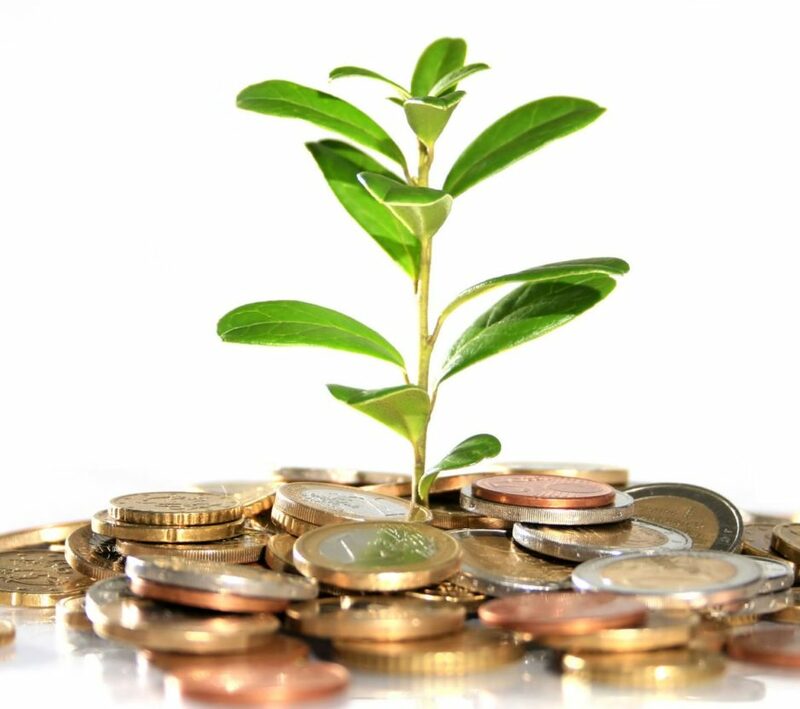 These include whether you are in a suitable financial position to set up a business in the first place. You may be in need of a business loan, which in turn will involve a credit check. Therefore, assessing your credit rating may be necessary long before you begin this endeavor. If you are in need of a credit card, but do not have a particularly good credit rating, Bonsai Finance could provide the services you need. Before making any large investments with your money, assessing the feasibility of what you wish to achieve and being realistic should not be overlooked. Researching into your competition is a vital step to take early on in the process. 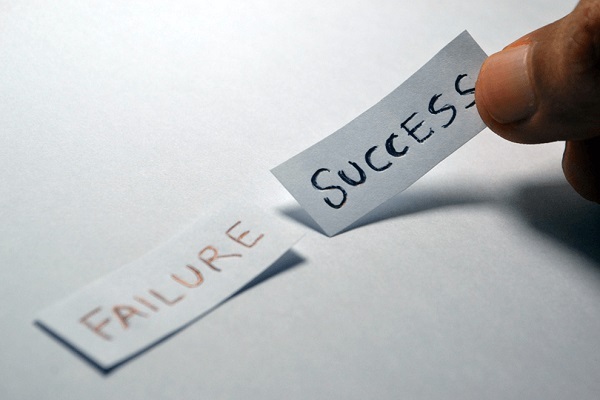 If you think you have an original idea, however too late into the process, discover there are multiple businesses offering the same services, you may find your business fails before you have properly begun. Therefore, spend some time looking into competitors, what they offer, and whether there is suitable gap in the market for your company and USP. If there are similar companies, you may want to look into how they market themselves, and whether there are any gaps in their strategy that you can capitalize on. Researching the competition can also help you get an understanding of any previous mistakes made along the way, and how you can best avoid these with your own business. In terms of starting your own business, there are various considerations to make. Ensuring you are financially viable, passionate and organized is fundamental, as is having a strong understanding of your USP and target market. Once you have analyzed these considerations, you can be well on your way to starting your own business in the best possible position for success. In a world where Facebook has fallen from grace and found itself in the middle of a data harvesting scandal, issues of cybersecurity, privacy and transparency have come to the fore once again. With 87+ million users having their data harvested by Cambridge Analytica without explicit consent, business owners, staff and consumers now want to know more about staying safe online. For those that followed Facebook founder Mark Zuckerberg’s Congressional testimony, one of the most interesting discoveries was not the things he did know but what he didn’t. Whether advised to stay quiet by his legal team or not, Zuckerberg faltered on what seemed to be some basic questions regarding data storage, sharing and protection. This, for many, could be the greatest failure of the CEO: to not have a firm grip over his company’s IT system. Essentially, people are more concerned about data security than ever before, which is why you as a business owner need to know how to keep your employees safe. With modern technology being what it is, there are plenty of ways to protect your company’s data, systems and services. One of the most commonly used products to allow for such protection is a web application firewall (WAF). Designed to monitor inbound traffic to web applications, this firewall prevents attacks which, in turn, can lead to loss of data and data theft. Any business with systems connected to a network should see this type of software as a standard. 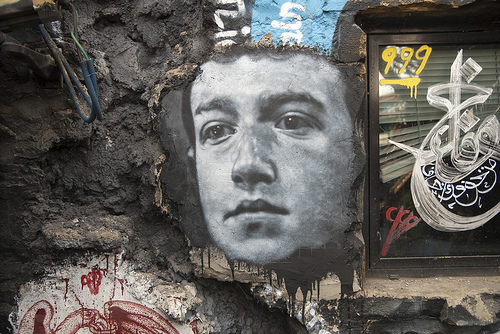 Although the Zuckerberg testimony focused on a range of topics, one takeaway can be argued to be how important an understanding of technology is not only for specialists but for its users, too. Time and again, it was pointed out that users were not familiar with the full extent of privacy options on Facebook. Indeed, in the wake of the Facebook news, the company’s share price dropped by 8%. Although the lack of clear information from the CEO wasn’t fully responsible for the decline, it certainly didn’t help. Essentially, what this demonstrates is that it’s crucial to communicate how and why your service is safe, both to clients/customers and to your staff. By doing so, you not only empower your staff in the fight against data theft but prove to your customers that your business is safe. As a boss, the best way to explain the mechanics of a web application firewall (WAF) to your employees is to describe it as a filtration system. In other words, WAFs sit between a company’s IT system and the internet at large and analyze the traffic coming in. As a standard, a WAF from a recognized brand will automatically stop the top ten cyberthreats as listed by the Open Web Application Security Project (OWASP). 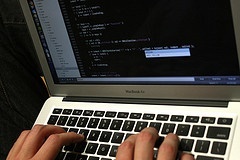 Additionally, the latest software should also protect against the Automated Top 20 threats. From SQL injections to illegal resource access, a fully deployed WAF will prevent against the attacks most commonly experienced by small to medium businesses. Beyond the basic mechanics of what a WAF can do, it’s also important to understand its benefits. Being a web-based application means it’s flexible. Users can either deploy the software onsite or remotely via cloud servers. The benefit of this is that it cuts down on costs by removing the need for specific hardware. What’s more, like all cloud applications, there’s a large degree of flexibility within the system. In other words, a company can customize the protocols to filter specific types of traffic and, more importantly, to create individual reports. In fact, this is the other important benefit of using a WAF. Protecting applications against the biggest online security threats is only useful if you’re able to track and understand the traffic that’s coming through the system. Having the ability to explain how WAFs work isn’t just a PR exercise. Although it’s important to communicate how your security provisions work, you can’t ignore the fact that cyberthreats are a reality. In 2017, cyberattacks surged, with the Online Trust Alliance reporting 159,700 major global incidents. Between the likes of WannaCry, Shadow Brokers and Goldeneye (which evolved from Petya), online businesses were under threat more than ever last year. For those that fail to fully understand and utilize WAFs, the cost of a data breach can quickly mount up. According to the Ponemon Institute’s 2017 report, the average cost of a data breach at a major company is $3.6 million. In specific terms, the cost of a single stolen record is $141. For a small or medium sized business, that can be a lot of money. For this reason, more than anything else, WAFs are essential. In fact, by communicating the dangers of an attack and how your business is protected, you should be able to satisfy your customers that their data isn’t in danger. This, in turn, should help you avoid the hole Mr. Zuckerberg found himself in during the first quarter of 2018. If you’ve found yourself worried about the online security of your business, then you’re one step closer to tackling the issue. 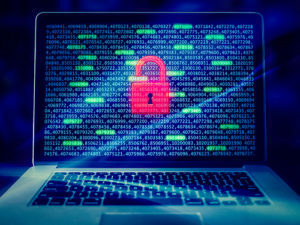 For businesses in the digital age, it’s of vital importance that your security measures online are always a priority, because failing to be aware of the importance can have drastic consequences. The fact remains that despite all of the benefits that technology offers the modern business, there are still criminal elements that will do all they can to gain access to your online services and commit a variety of crimes. So if you’re wondering about the best ways to beat the cybercriminals, then here are the top three ways to optimize your online safety. Your company’s data needs to be kept safe and free from the hands of cybercriminals, otherwise the integrity of your company will be compromised, along with your customer’s data. With the new GDPR compliance coming into effect 25th of May, companies within the EU (or who have EU clients) need to undergo a few changes. The best thing to do in this respect, is to speak to a GDPR Consultant, and put the new rules and regulations in place. Furthermore, you need to speak to your workforce and teach them to use random password generators that you change on a regular basis, have them more awareness when it comes to links and emails, and reduce employee access to sensitive information. An effective extra layer of protection is to enforce in your employees the importance of online security. It’s no secret that the majority of data breaches are caused by employees who either choose weak passwords or are naive enough to click on suspicious links in unprompted emails. Having regular security meetings where you can address the changes to your password designation protocols as well as update staff regarding the latest phishing scams, will not only make them safer but also reinforce your commitment to online safety. Stressing the importance of it shows that you take it seriously, and as a result, your staff will start to take it more seriously as well. Updates often feel like an unnecessary delay to your daily workload, but to ignore them is to leave yourself exposed to risk. The majority of software and hardware updates are made specifically to counter the latest online threats, so procrastination when it comes to your updates can be very dangerous. This extends from your OS programs right up to your hardware systems, with Firewalls being one of the key areas of focus. However, many businesses on the cutting edge are taking the opportunity of Firewall upgrades to replace the outdated tech with something more robust, which is where SonicWall technology comes in. SonicWall firewalls are the latest weapon in the fight against cybercrime, with models like the SonicWall NSA 4600 able to offer optimum levels of Anti-Malware and much more. For businesses that want to protect their systems as much as possible, the SonicWall is the most secure product on the market, and worth upgrading to. For any business with an online presence, security should be at the forefront of your business strategy, and failing to take it into account and address the most recent issues is the fastest way to damage your bottom line and your business reputation. With the rapid evolution of social media, the vast majority of companies have utilized the unique opportunities presented by each of the various social media platforms to reach their marketing, sales and visibility goals. Some of these brands have been rewarded with great results in terms of return on investment (ROI), while others have struggled to do so. As a company, it’s important to capitalize on the numerous social media opportunities apart from the usual suspects: Facebook, Twitter, Instagram, and Pinterest. There are many other media platforms that you should look into for maximizing business visibility. Different platforms function in different ways; for example, some perform better with text rich content while others are image based and perform better when visually appealing content is used. If you are knowledgeable about SEO, backlinks, and how they help brand visibility on search engines, then you know to prioritize visibility across suitable social media platforms. Facebook: Since 2004, Facebook has been at the top of the game and is currently used by almost all businesses to ensure visibility. At one time, Facebook was popular primarily with younger individuals, but that has now shifted – middle aged individuals from 30 to 50 years of age are now the most active users. If your business is focused on families, new parents, or individuals with disposable income, Facebook should be your go-to platform. However, it’s necessary to post compelling, high quality content. Facebook has a strict algorithm that prevents content with low engagement rate from being displayed organically. However, if you have the finances, you can also simply pay to boost your content. Twitter: Having recently extended the tweet limit from 140 to 280 characters, Twitter allows businesses to convey more information in a single tweet or start a thread to increase visibility. To use Twitter as a marketing tool for your brand, you must be articulate and witty, creating short yet compelling stories that engages your target audience through your business’s Twitter page. Due to the nature of Twitter’s continually refreshing content, it requires more frequent activity, and you’ll need to post content more regularly than you would on other social media platforms. If you are looking to drive sales, you should focus on using your Twitter profile to redirect people to your sales page. It would be beneficial to either be on standby or hire an intern to reply to enquiries about your business. Instagram: Purchased by Facebook in 2012, Instagram is an image driven social media platform. If your target audience is primarily below the age of 30 and your content includes compelling stories that can be told through images and short videos (usually not longer than 60 seconds), you should create an account on Instagram to boost business visibility. The best practice is to make your Instagram account a business page by linking it to your Facebook page, which will make posting of paid content and organic content much easier. When you’re using this platform, you don’t need to post as frequently as you do on Facebook and Twitter so as not to overwhelm your customers’ timelines. You can also make use of the Instagram Stories feature to post quick videos that will keep your followers engaged. These stories can be linked to external sites as well. Snapchat: Facebook tried and failed to purchase this social media company, then began to integrate similar features, in an effort to compete with Snapchat. As with Instagram, you should consider this platform if your target audience is below 30 years of age. Some people consider it more fun and entertaining than Instagram, so it’s easy to find creative ways to engage your audience’s attention. The best practice for this platform is to amass a large media following on other platforms like Facebook and Twitter, and then cross promote your media presence in combination with Snapchat. LinkedIn: LinkedIn has now become much more than just an employment focused, business related company, though it is still considered as the best platform to go if you are looking to employ professionals. If your company is a B2B (Business to Business) type, then creating an active Linkedin account is an effective way to increase your business visibility. These social media platforms help your business in a lot of other ways apart from increasing business awareness, some of which include market research, lead generation, relationship building, and customer service. There are also top alternatives for different social media types that help you determine whether or not you are reaching your desired audience and meeting your goals: for example, demographic monitoring, bounce rate, and many other indicators of business success on social media. Musical.ly: This platform enables you to put together short duration videos for your business and it has many of the same features that Instagram offers. The Musical.ly app also allows users to synchronize video and audio together with professional quality results. It is a very useful tool if your business is unveiling a new product and you don’t want to spend so much on creating a standard commercial. Periscope: With over 2,000 reviews on the App Store and millions of users worldwide, this Twitter-owned social platform is most useful for streaming live events. Supported on many mobile devices, Periscope allows you to share live happenings; plus, users can watch videos that they have missed at any time. Pinterest: This is classified as a bookmarking and content curation social media platform which enables users to discover, save, share, and discuss new and trending visual content. Pinterest can be useful for driving brand awareness, website traffic and customer engagement. TripAdvisor: TripAdvisor is an extremely popular customer review media platform. Positive reviews can greatly increase brand awareness and bring in new customers. As with social platforms like Yelp and Zomato, customers use TripAdvisor to find reviews and share experience about brands, locations, products, and services, travel destinations, restaurants, and more. If handled well in answering enquiries and resolving customer issues, this can be the big step your business needs to get noticed. WordPress: A lot of people don’t consider this a social media platform, but WordPress can help Internet users gather all of the information they need on one page, unlike Instagram or Twitter, where they have to open several posts to find information about a business. On WordPress, the essential information about your business can be made available on one single page, which is called the landing page. If you decide to blog with WordPress, content marketing is a very effective way to engage with your audience, build a brand, and drive leads and sales. It is also a very useful tool for creating backlinks on other well-read blogs. Worthy of mention: Blogger, Tumblr, Flipboard, Quora, Hype, Raftr, and Live.lr are other useful social media platforms to consider for increasing your business visibility. Petro, the New Cyber Currency That’s Already Illegal! 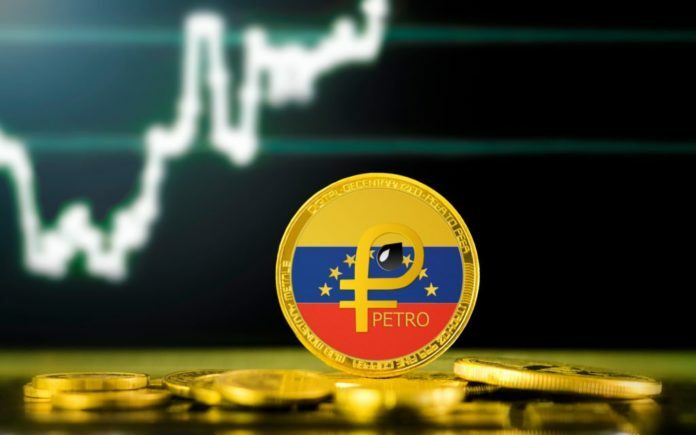 The Petro, or Petromoneda, is a new crypto currency issued by Venezuela, reportedly backed up by the oil and mineral reserves within that country. President Nicolas Maduro announced the offering would make available to the country better international financing. This is greatly needed as the country of Venezuela is currently in an economic crisis. The plan is to issue 100 million coins of Petro valued at approximately six billion. Petros are “pre-mined” by the Venezuelan government and new tokens cannot be created after the issuance. The price of the Petro is up to the government of Venezuela based on their interpretation of the value of the backing minerals and oil reserves. Right now, only the government can buy Petros, and only citizens of Venezuela can spend them, and only for the purpose of paying taxes and other fees owed to the government. Seeing this soon-to-be offering to the world of the Petro, US President Donald Trump issued an executive order prohibiting any U.S. citizen or anyone within the United States from any transactions using the Venezuelan Petro. President Trump believes that the offering of Petros is Maduro’s attempt to get around sanctions the U.S. has against Venezuela. Venezuela’s National Assembly has declared the Petro to be an illegal debt issuance by a government desperate for a cash grab. That’s why only foreigners will be able to buy Petros and only Venezuelans will be able to spend them. The Petro serves no other purpose than to create revenue for the government. It is highly unlikely this venture will be successful. It might be possible that the Petro would be tradeable for other “real-world” crypto currencies, such as Bitcoin or Monero, thereby making it spendable in modern stores or websites. My suggestion? Hit up Bitcoin Casino and potentially go double or triple your currency! With all the dips and rises seen in the crypto markets recently, make it and spend it while you can! Running and managing a business can often seem like a battle of the fittest. There are several hurdles that you will face, and challenges often come from every angle. In the midst of this, one of the primary objectives of most businesses is to capture the attention of their ideal customer. Seeing as you’re competing with hundreds, if not thousands of other businesses, first impressions count. For this reason, it is important that some of the first things that people see when they interact with your business are memorable. In this article, you’ll find 5 specific things that should stand out when running a business. Your business cards are one of the first things that prospective clients or customers may see, so it is important that they leave a lasting impression. Even if they don’t use your products or services immediately, having a card that is memorable means you could be remembered at a time they may need one of your service offerings. Some tips on how to create a business card that stands out are making your social media handles visible, only including the forms of contact that you’re likely to engage with prospects on, and creating something that is visible and inspires curiosity. You could also explore the idea of creating a business that can be used for other purposes such as a mini spiral notebook or designs that resemble mini-catalogs or brochures. Another tip is to ensure the information on your card is well organized and key information is easy to spot. Additionally, why not consider using different materials aside from paper and exploring different folds and creases or 3D designs. 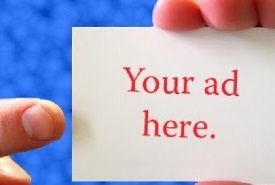 Your website is one of the first interactions prospective customers may have with your business. Making it something that grabs their attention is, therefore, very important. Your website design should be greatly influenced by your brand image and objectives. There are still, however, ways to make your website stand out so that people want to spend more time on it and consider using your services. Some components of a good website design include website responsiveness; consistency in terms of fonts, logo and colors; eye-catching, bold and original images; easy navigation; and ensuring that the contact details of your company are easily accessible. If you haven’t yet built your website or you’re considering redesigning the one you presently have, you should search web site design Tampa and look for a professional who can come up with a concept that people will fall in love with. In addition to the design, it is important to note that the copy on your website also plays a role in how well your site stands out. If your business is one that isn’t solely based online, it is likely that you have a physical base such as an office. In the instance that customers and prospective customers often visit your office space, the way that it is presented and decorated can leave a positive or negative impression. In order to create an impressive office reception area, you should leave branded sweets in the reception area, make sure receptionist are always friendly, make branded pens available, ensure there is natural lighting, make your logo visible, and decorate with big and bold plants. You should also pay attention to details such as clean bathrooms, a clean environment, pleasant fragrances, and nice artwork. Staying on top of maintenance and making sure things such as blinds, lights, and furniture aren’t broken or falling apart will also make a difference in how well your office space is received. Your brand logo is one of the first representations of your brand. Making sure that it’s something that is unique and impressionable will go a long way in impressing prospective customers. There are many things that go into making a logo for your business, however, there are also key things that will make it stand out. For one, making sure that your logo communicates core things about your brand is one of the most important steps to take. In a similar light, your logo should also evoke the feelings that align with your brand which means if your business is one that is upbeat and friendly, you should likely use warm and feel-good colors. Some other tips include making your logo as simple as possible and avoiding overly-busy and complicated designs. This will make it easier to process in the minds of consumers and also easier for them to digest. One of the ways to stick to keeping it simple is to try sticking to two colors only. 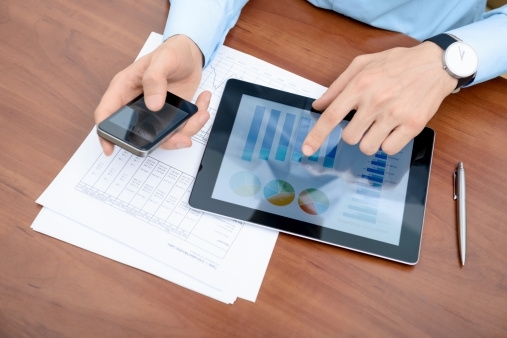 Most brands now have social media pages, so ensuring yours stands out is imperative. Social media is multifaceted and can be used for many purposes such as gaining followers, creating more visibility for your brand, driving traffic to your website, showcasing your products and services, sharing brand reviews, and sharing brand-related content. For this reason, it is important that your social media makes a great first impression. You can achieve this by firstly using high resolution and original images. Try and avoid using generic images as ones that reflect real-life people and situations are more likely to connect with consumers You should also think about hiring a professional copywriter or social media manager to write the content for your posts and come up with fresh and interesting ideas. Your brand personality should be evident in the tone, language, and visual aspects of your posts as it’s likely to increase your chances of engagement. Being memorable and making a difference in people’s lives is one of the things that sustain a business over a period of time. How you impact a prospective customer’s visually, mentally, and emotionally can make the difference between whether they become a loyal customer or patronize your competitors instead. Your first impression is, therefore, important as it could be the beginning of a great relationship. In that light, taking note of the 5 things mentioned in this article could help you stand out and leave a positive impression in the minds of prospective customers.